The Poker News Cup has begun in the famous King’s Casino in the Czech Republic. The casino is located in the municipality of Rozvadov, an area that has Germany as its immediate neighbour. It is thus not surprising that the winner of the inaugural event this November 19th is German as it is convenient for neighbours to cross over and play poker in this vibrant gambling environment. Timothy Claude Weltner emerged the winner in a poker tournament where 163 entrants began the game. The Poker News Cup is being followed closely by poker fans beyond the Czech Republic as well because it is open to poker players from all over the world. The country is relatively liberal when it comes to gambling games compared to many others worldwide. There are around 43 casinos in the country, and out of those, 32 have poker rooms. Casinos generally offer their patrons a variety of betting games and many of them also have slot machines that players have access to all day long. Online poker has also become well established here although the poker law requires that respective hosts get licensed first. Timothy Weltner who beat four other players in the opening day of the tournament took away €2,607. As he disclosed to Poker News, this was his first live poker tournament and he was very excited about it. Incidentally, the amount of money he took home is what each of the five finalists took home as well. After most of the other competitors fell on the wayside, the five remaining players made an unusual pact to share the remaining prize money in equal proportions whatever the outcome. And that is how each of the four other finalists got to take home a similar amount of €2,607. The lucky finalists included Christian Pestel; Przemyslav Omylak; Matus Schnierer; and Tomas Scheubal. Evidently, there is more to a poker competition than the money. And that is true whether it is an online poker competition or poker hosted in conventional casinos like the King’s Casino. Despite all the excitement at Rozvadov, the PokerNews tournament has just begun. In a few hours’ time, the main event will start, and again many poker players worldwide will take a short break, including those registered on online poker sites, to share in the thrill of this poker competition. This time, competitors have their eyes on the €200,000 prize money. There is also the €10,000 Pot Limit Omaha Event scheduled to take place on Friday, and both the players and the poker fans are looking forward to it. Incidentally, the game of poker seems to get a great following in countries where state laws are friendly on poker. The populace get to engage in the game as a pastime and not just for the money, and so there is much enthusiasm when a poker tournament is taking place. A country like the Czech Republic is one of those destinations that travellers include in their itinerary just because they can have fun playing poker without looking over their shoulders. Others even hope to top up their travelling kitty with poker winnings. A good example of such poker lovers is Lewis Murray. 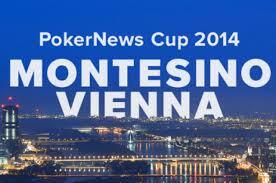 Murray explained to Poker News that he came to Rozvadov with the intention of playing in the PokerNews Cup. He is Australian and has been travelling across Europe, and hoped to win some money from poker to subsidize his travel expenses. Although he was not lucky enough to reach the final table, he won some €281 and had some fun. Murray has already had stopovers in Madrid and Barcelona; Montpellier and Lyon; as well as Munich.